It is important that you lead a healthy lifestyle. You should have a balanced diet. The ‘Eat Well Plate’ can help you think about your diet. 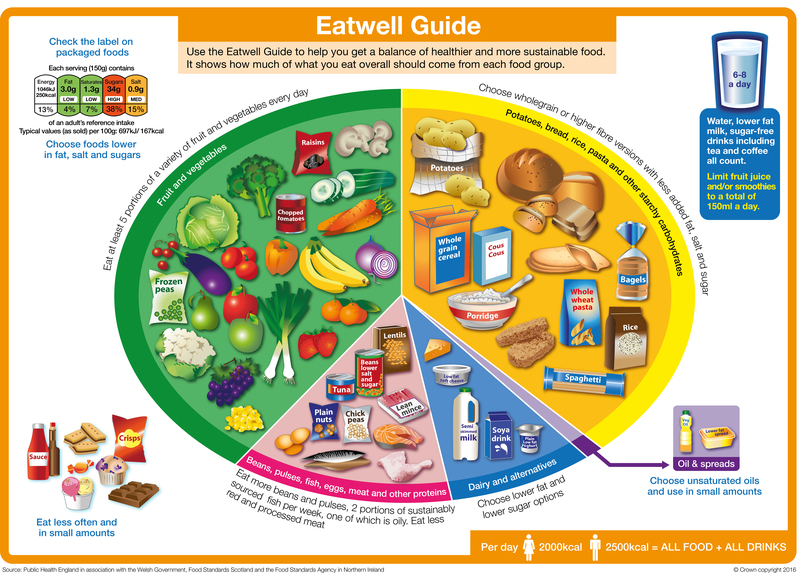 Click on the link below to find out more about the ‘Eat Well Plate’ and a healthy diet. The ‘Five A Day’ campaign reminds you that you should be having five portions of fruit and vegetables each day. It is important that you drink water regularly so that you do not become dehydrated. You should be taking plenty of exercise too! Droxford Junior School tending their plot on their allotment.